No one becomes an entrepreneur for an easy life. But it’s often the things that go wrong, rather than the things that go right, that propel your business the furthest. I’ve experienced my share of the ups and downs of launching a new product. Here are some of my key learnings from a time when failure loomed large. For me, it was the financial crash of 2009 that scuppered my brilliant business idea. I saw a brand when I was working the brewing business in Germany that stopped me in my tracks. 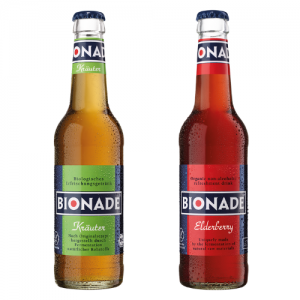 A byproduct of the brewing industry, Bionade was an organic fruit soft drink that pushed at an open door by being additive free before so many others joined them at that particular table. I wanted to bring Bionade to the UK market and had invested a lot of time, energy and cash into making that happen. But the crash put paid to that. The brand’s German owners felt that the UK was a risky market to launch a challenger brand into. In a time of financial uncertainty, they felt more comfortable holding the share they already had in the European market in Germany, France and Spain. It felt like a disaster at the time, but perhaps it wasn’t so unfortunate. The lesson: There’s nothing like a crisis to spark some powerful creative thinking and action. Not being able to import Bionade to the UK made me think about what our market did really need, so I set about finding myself a partner and researching the domestic market to identify what the British soft drink consumer might want. And while I’d thought that Bionade was my future – and staked my business on it – it turned out that what the market wanted was something very different indeed. Future Drink Co Ltd was founded in 2011 and our brand Koji was born. The lesson: Nothing is set in stone in the early days of a new brand launch. Be prepared to pivot, and to change your product mid-stream. 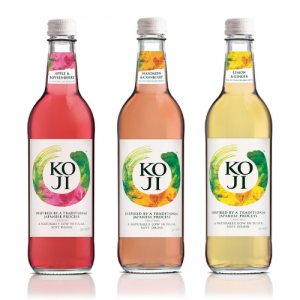 While Bionade was organic and had quirky flavours, Koji was entirely natural with a range of flavours that were more palatable to UK tastes (including Elderflower & Lime and Lemon & Ginger, for an extraordinary 49 calories). We learnt that our audience wanted a product that was absolutely aligned with their needs – Koji was elegant, feminine, sophisticated, created by experts and delicious without being sweet. So while we started from the same point – the brewing industry byproduct – Koji was a very different proposition. We created a brand with true appeal, shelf stand out and most importantly a drink that foresaw the oncoming sugar tax on carbonated soft drinks by being natural, low calories and tasty. The lesson: Do your research. Know your market better than anyone else, and give them what they want. The right investors will make or break your fledgling brand. We quite quickly found investors who were willing to take equity in our brand and bring Koji to the shelves of the UK on and off trades. 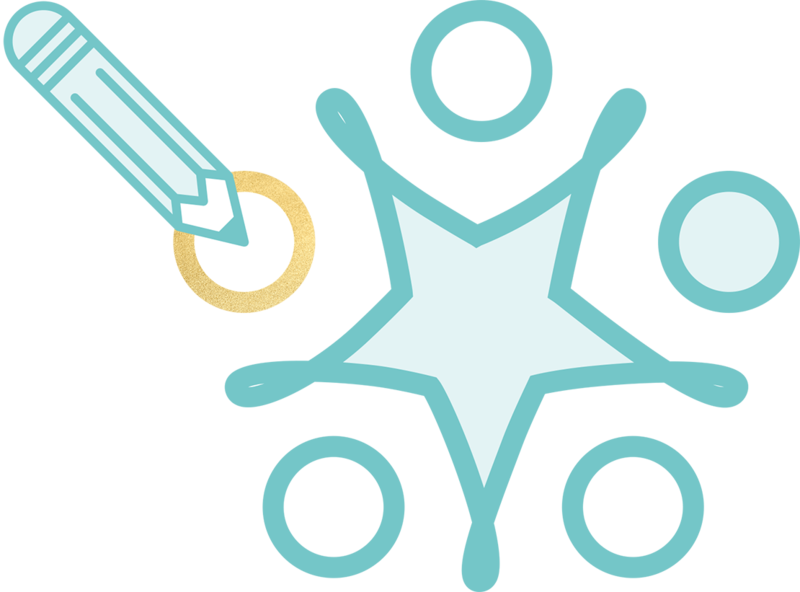 Crucially, they were patient, gave us killer advice and sat on us until we provided the sharpest set of management accounts that a startup could produce. We had a great brand designed by our colleagues at Reach. We had a game-changing fluid that was clearly differentiated from its competition and we had a proposition that would be truly relevant to our consumers. Without these two components – investment and brand – I’d never have got this new idea off the ground. The lesson: the right investors make all the difference. Know how far you want to go. I’m an entrepreneur at heart – I love the ideas, the investors, the thrill of getting something to market and seeing it on the shelves – but I never wanted to head up a multi-million soft drinks business. Everything changes when you get to the next level, and that was not the journey I wanted to make. So after 4 years of excitement, a far bigger marketing budget and savvy know-how on how sales were now driven by social media, we decided, happily, to sell the brand to a competitor. The lesson: Know how far you want to go. And stop there. The journey to market for a new product is inevitably characterised by highs and lows. Failures along the way are inevitable. It’s how you react to them and learn from them that differentiates the brands that sink and the ones that swim.